The sound of the legendary grey handheld video game system captured in a virtual instrument with supreme sound design power! 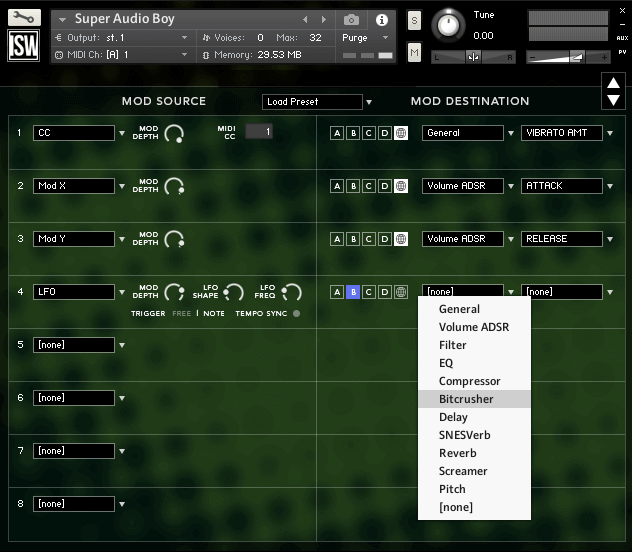 Create authentic retro / chiptune music OR modern sounds with the full 4-layer synth engine cut from Super Audio Cart. This instrument is completely FREE! 2008 or later processor. 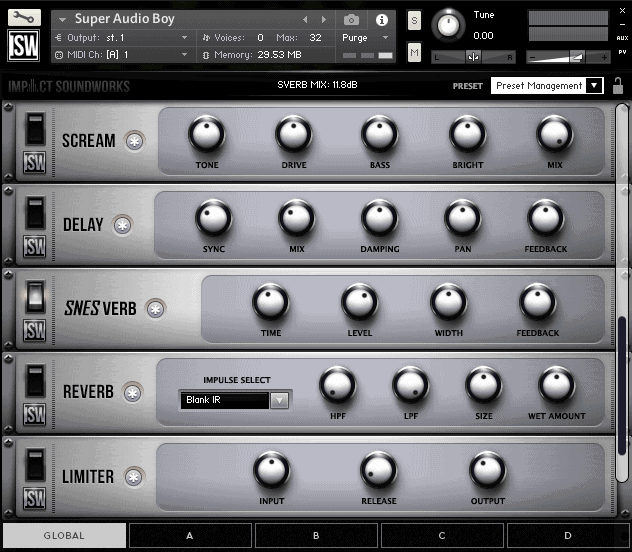 Your system must also meet the requirements for version 5.5.2 of Kontakt. If you cannot run that version, you will not be able to load this library. 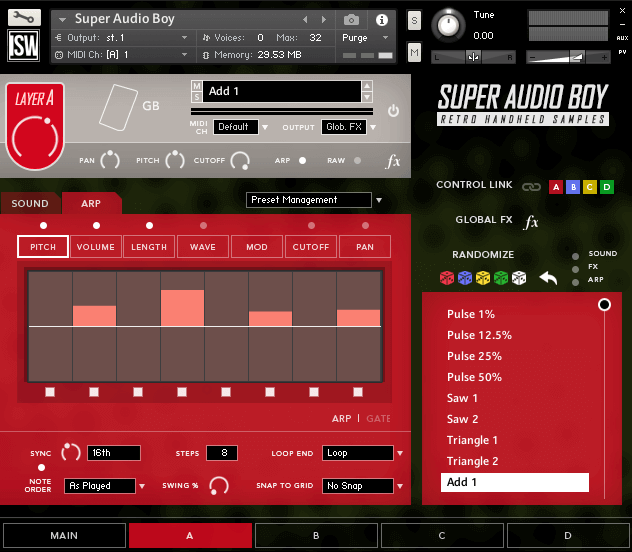 Super Audio Boy is a loving tribute to a certain grey handheld video game system that has become a legend in its own right. With well over 100 million units sold, the "GB" needs no further introduction, other than to mention that its sound chip has survived well-after the regular life span of the handheld and spawned multiple entire genres of music! 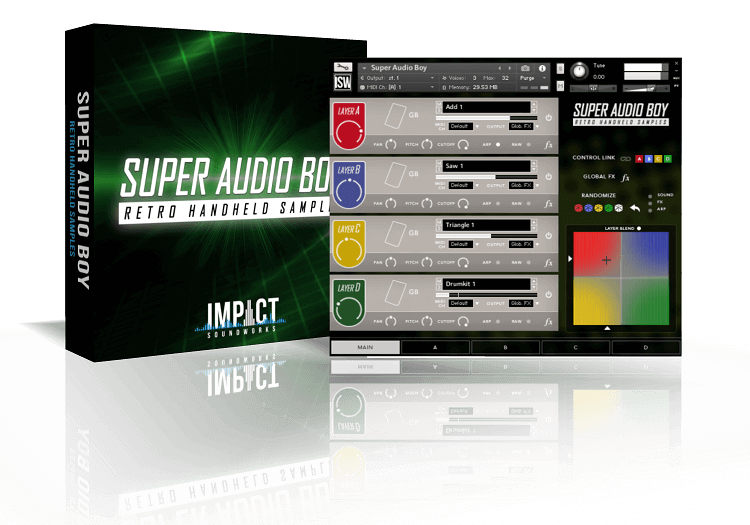 For this reason, when we wanted to make a free version of Super Audio Cart, we decided that the GB was the ideal system to use. 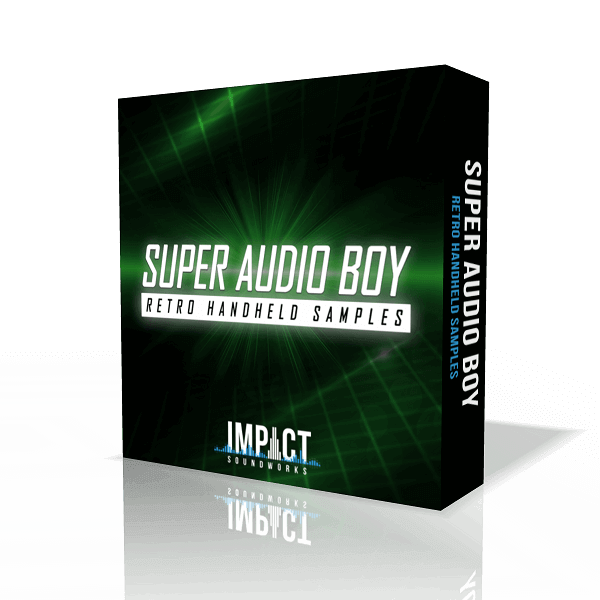 Super Audio Boy uses the same incredible 4-layer synth, arp, FX, and mod engine from Super Audio Cart, but exclusively features the GB sound sources. Every waveform has been meticulously sampled from the actual hardware - no emulation here - and then carefully edited for use in Kontakt. 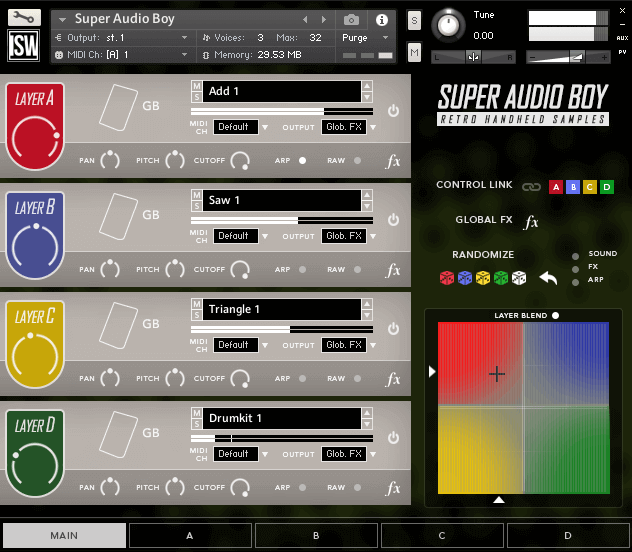 With Super Audio Boy, you can easily create authentic GB-style music, modern chiptunes, OR take the sounds in a modern direction with the extensive feature set from Super Audio Cart. We can't wait to hear what you do with this FREE instrument!